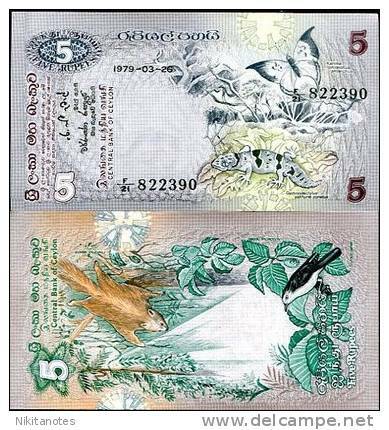 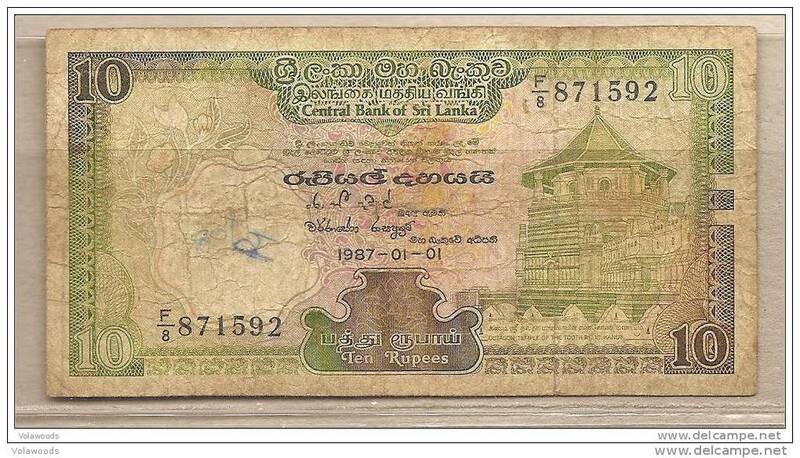 Nuovo Sri Lanka 5 Rupees 01/01/1982 UNC .C4. 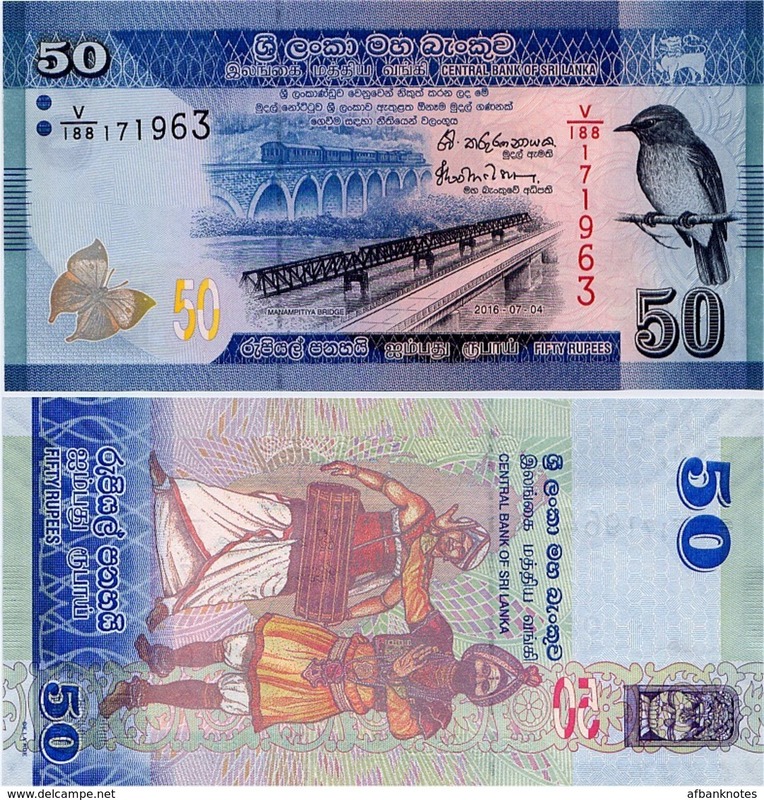 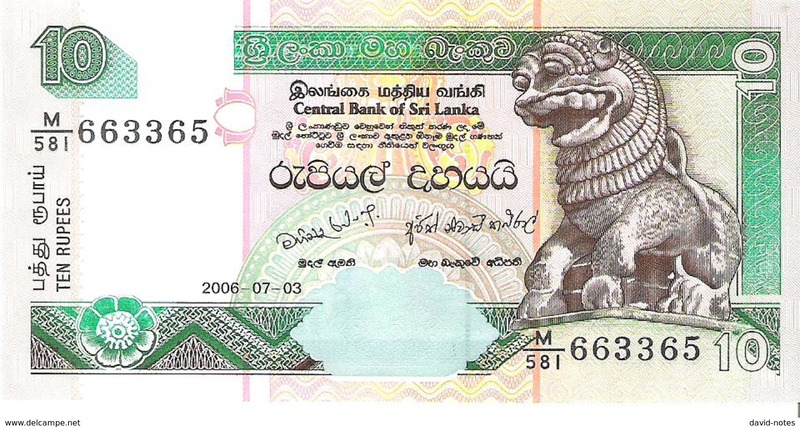 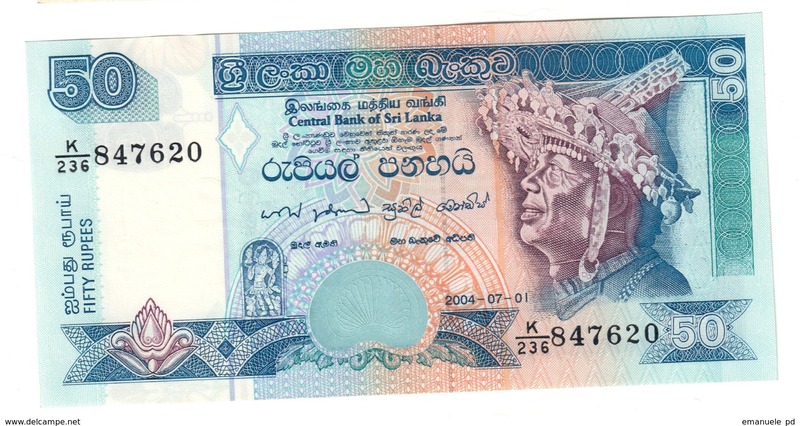 Sri Lanka 50 Rupees 01/07/2004 UNC .C3. 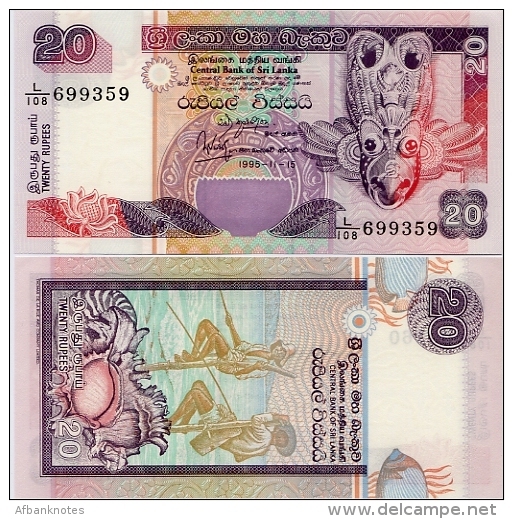 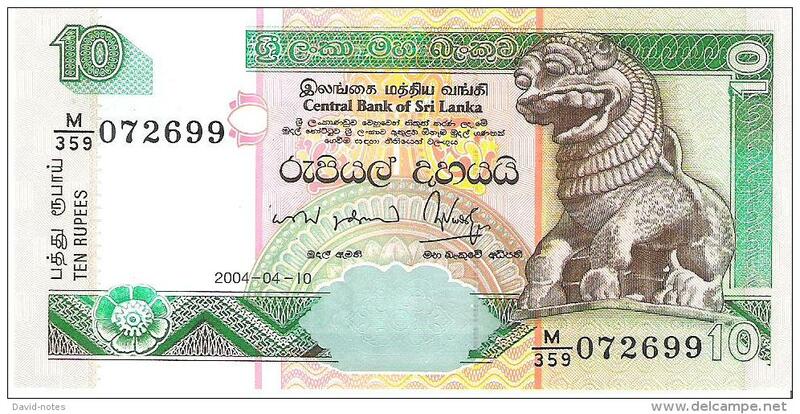 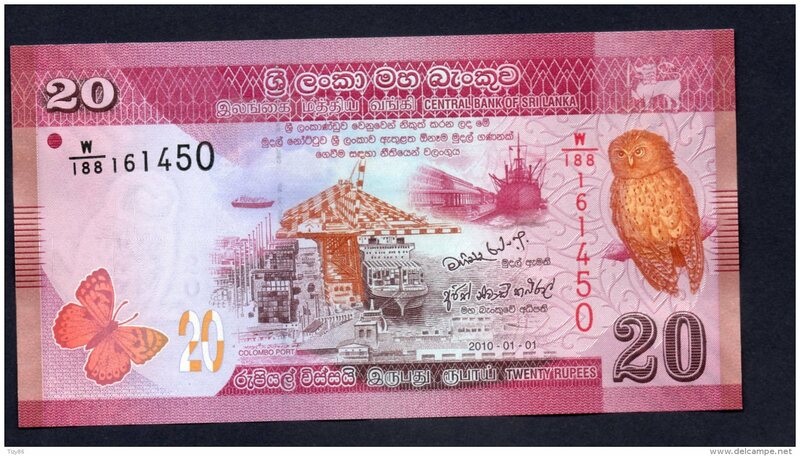 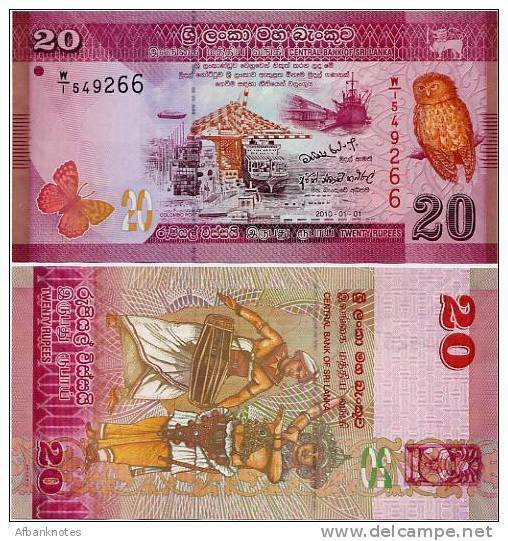 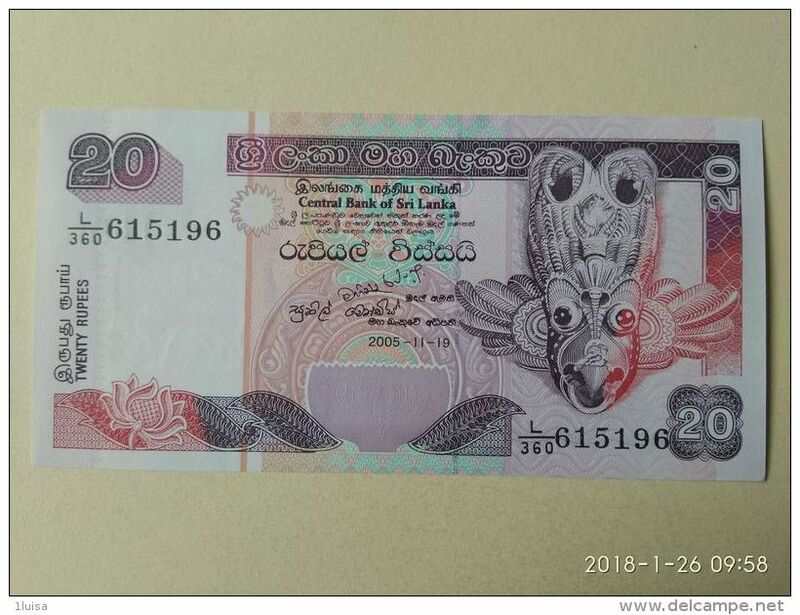 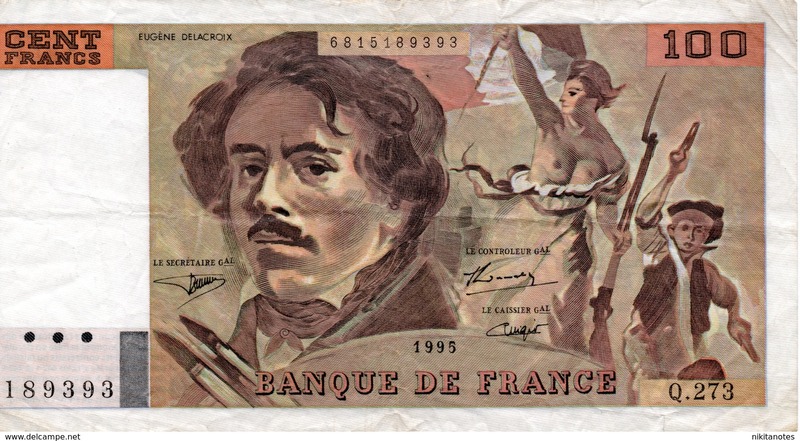 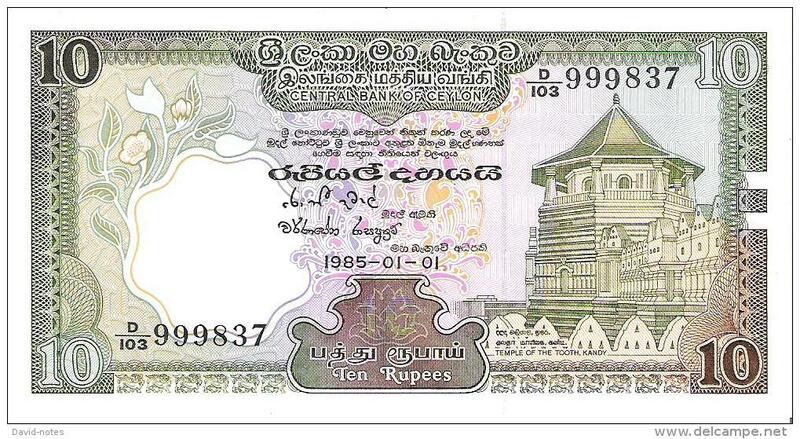 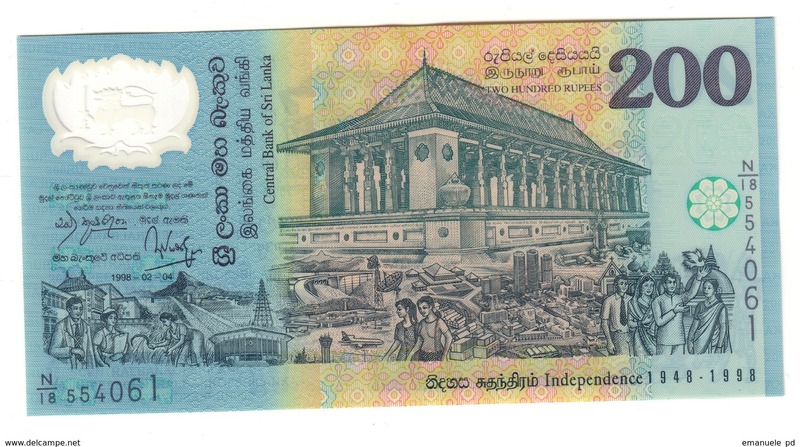 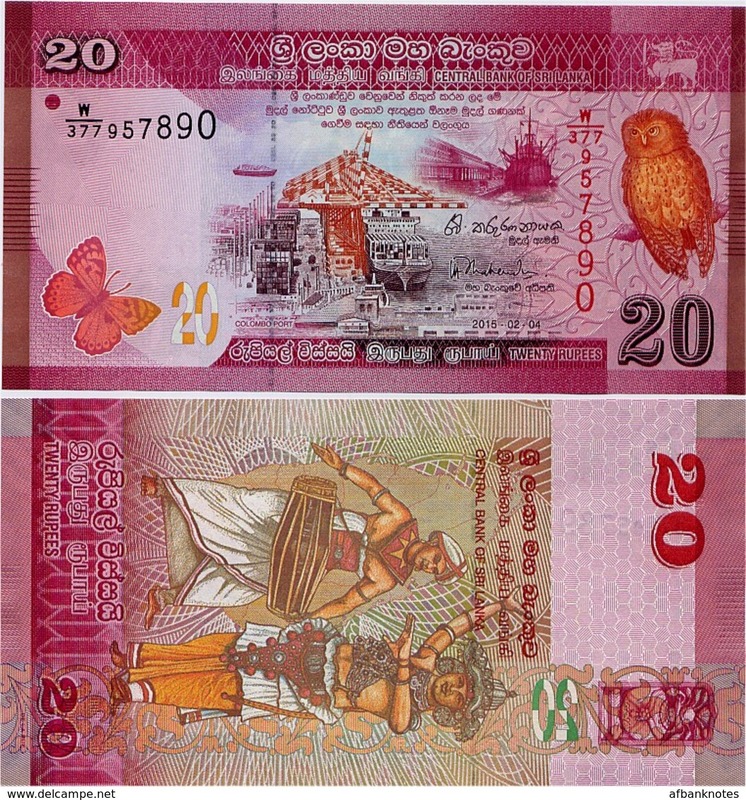 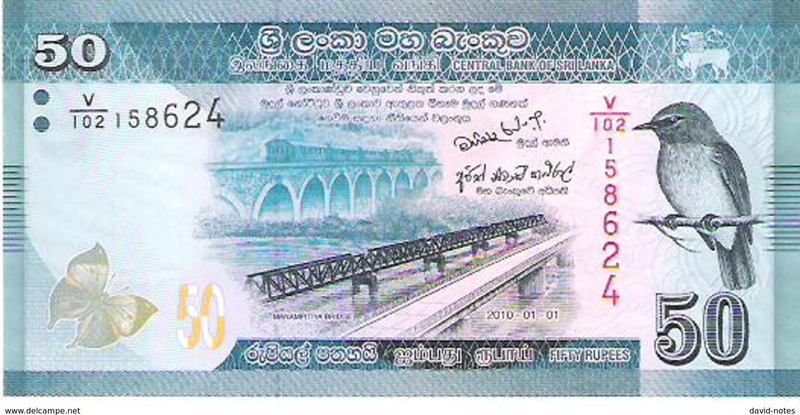 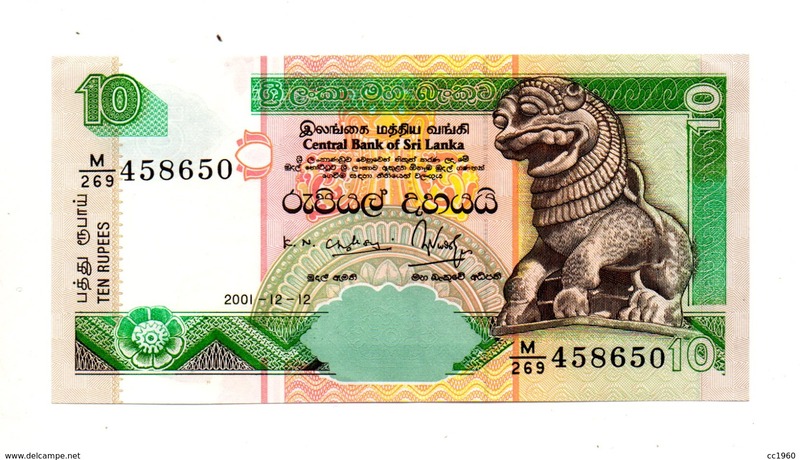 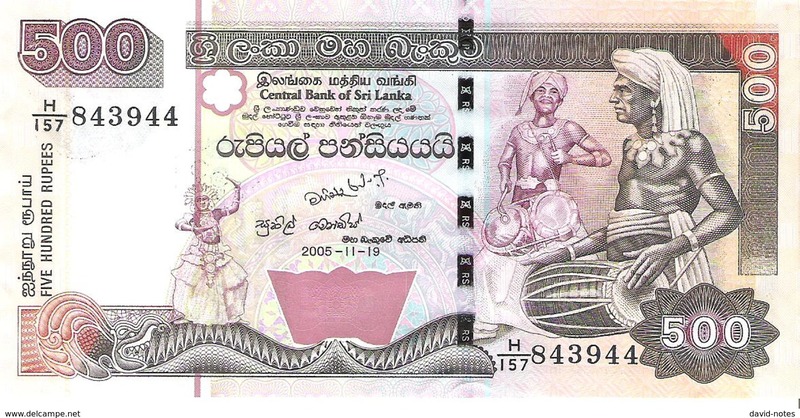 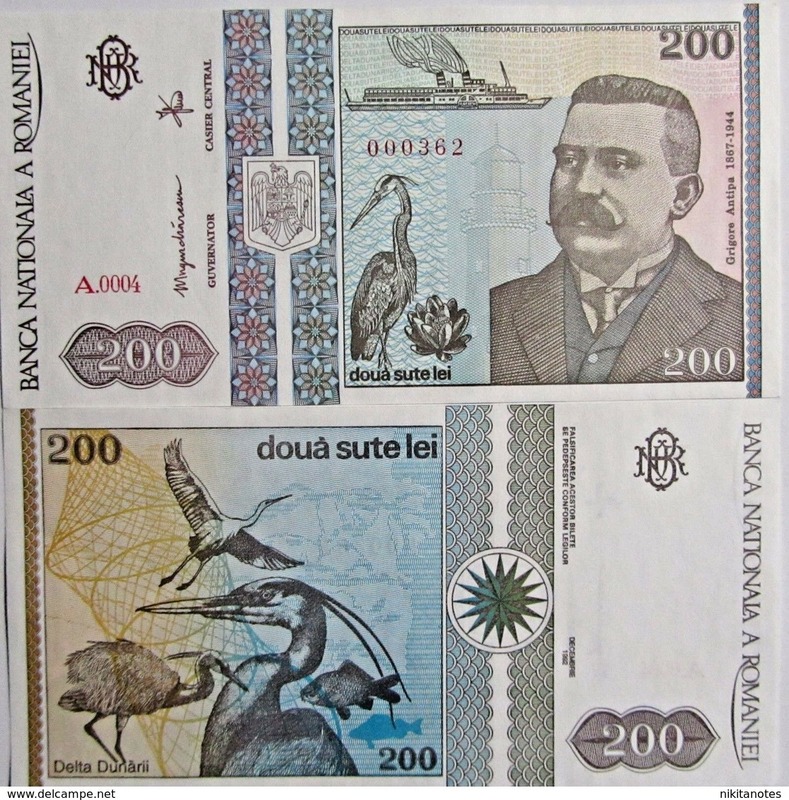 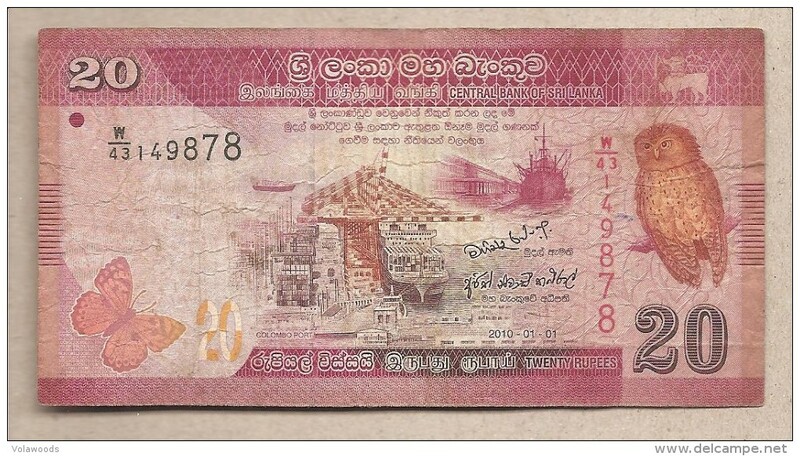 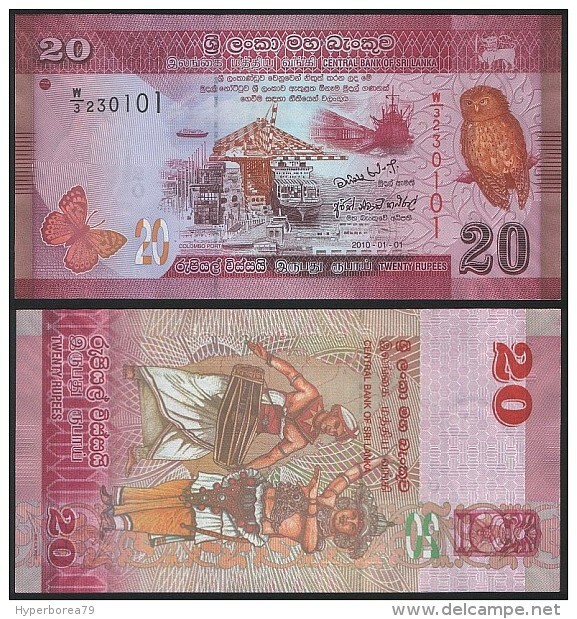 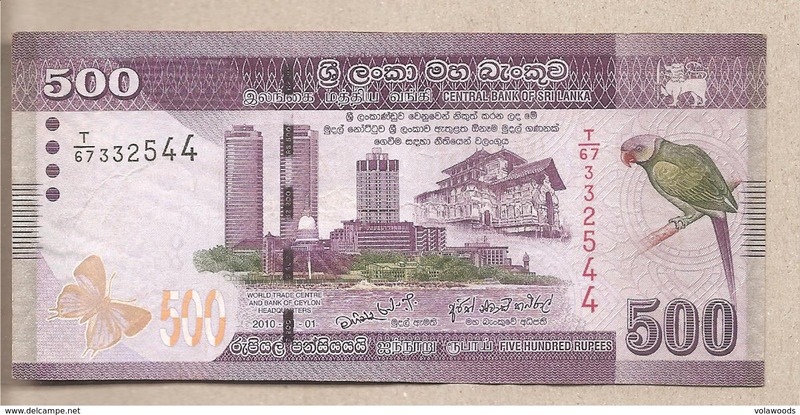 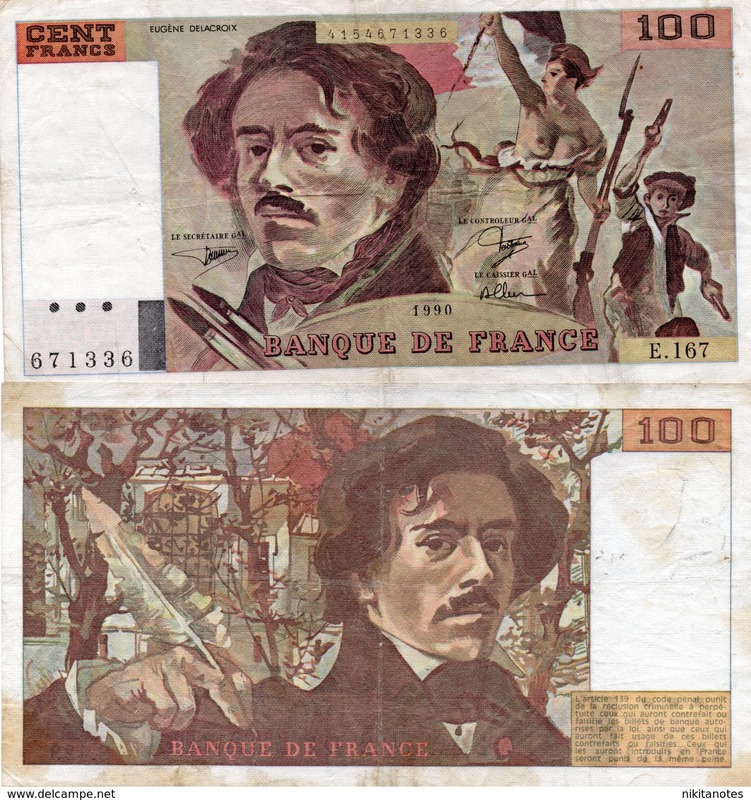 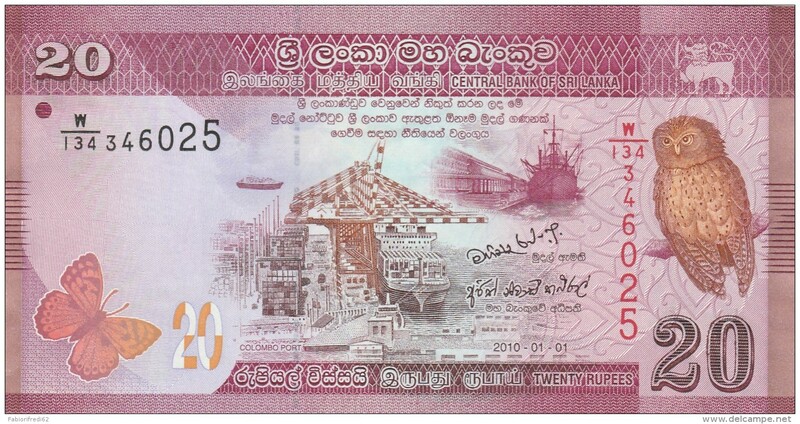 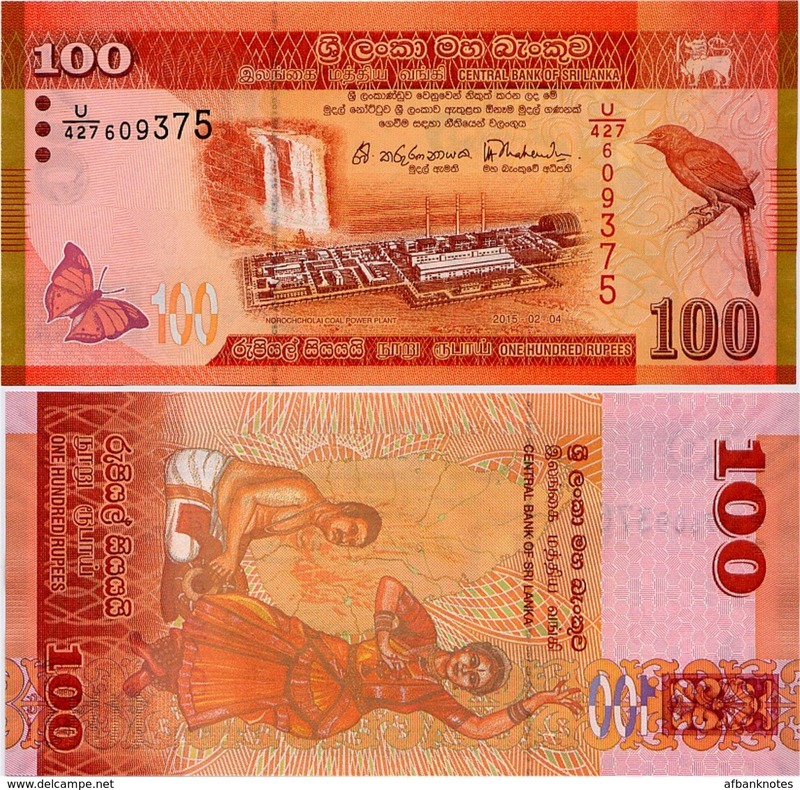 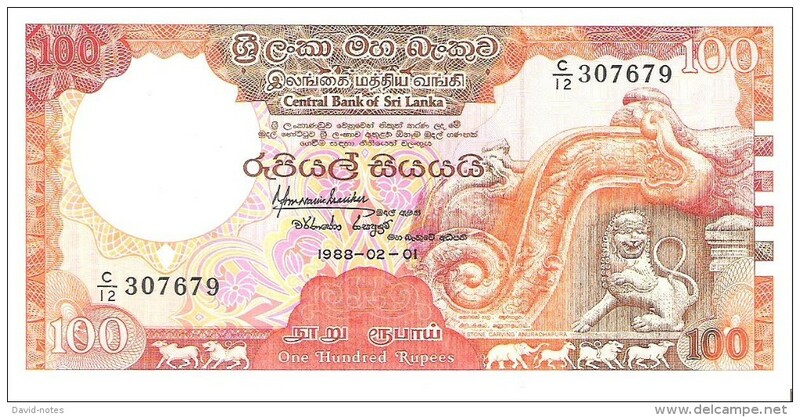 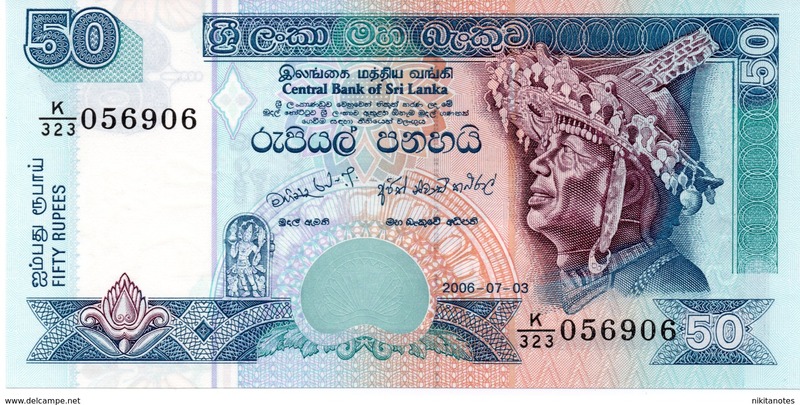 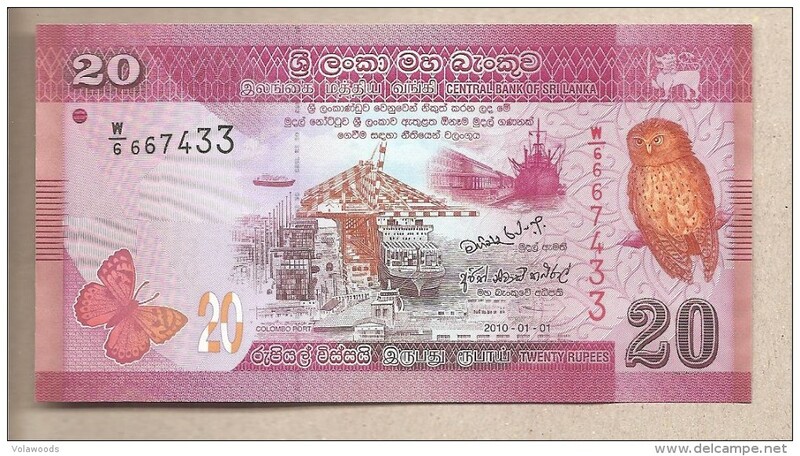 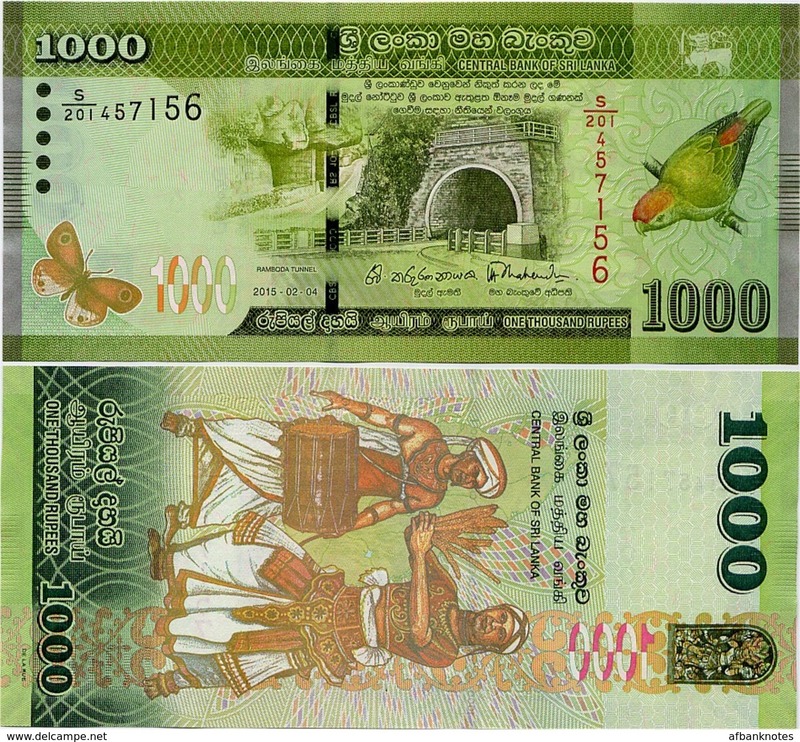 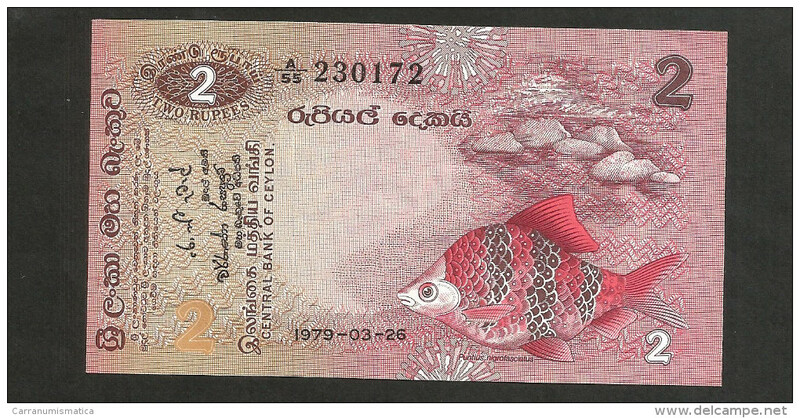 Sri Lanka 200 Rupees 1998 Commemorative UNC From Bundle .SL. 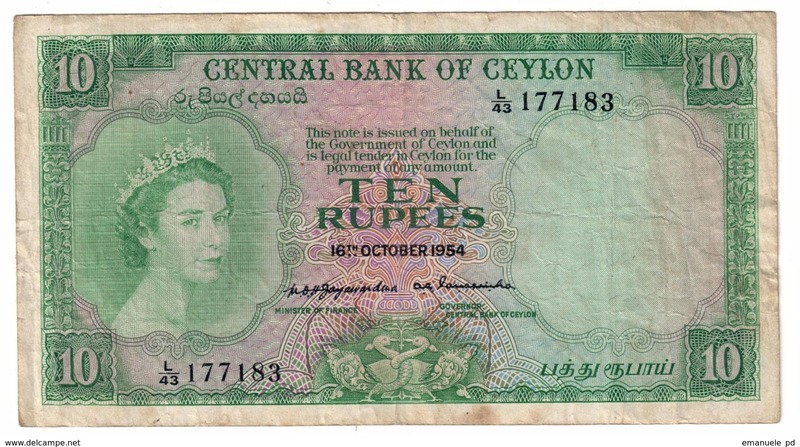 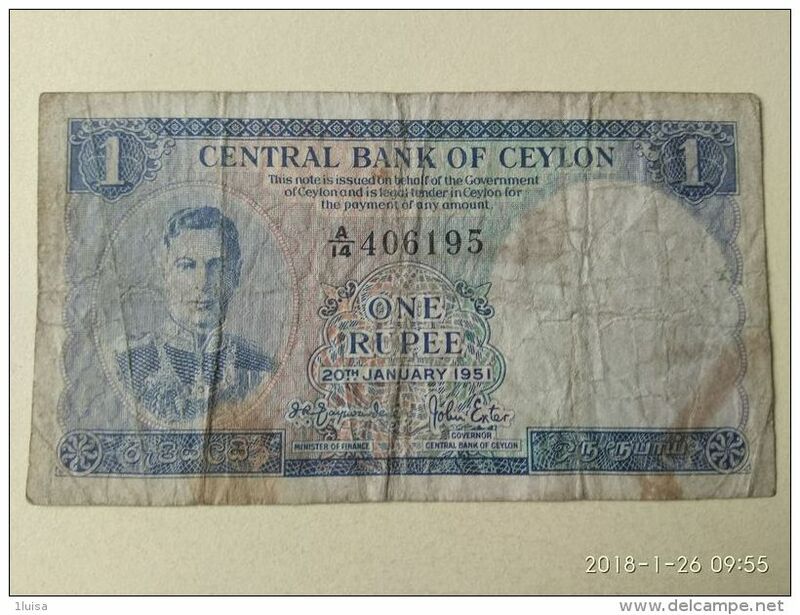 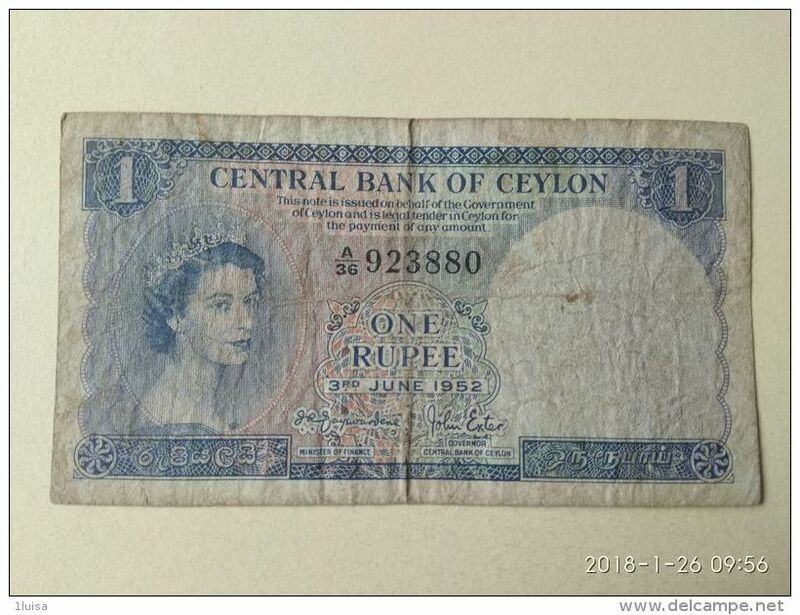 Ceylon 10 Rupees 16/10/1954 .J. 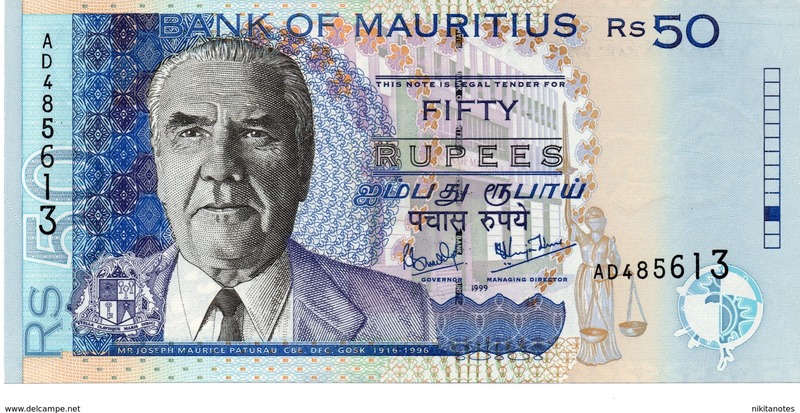 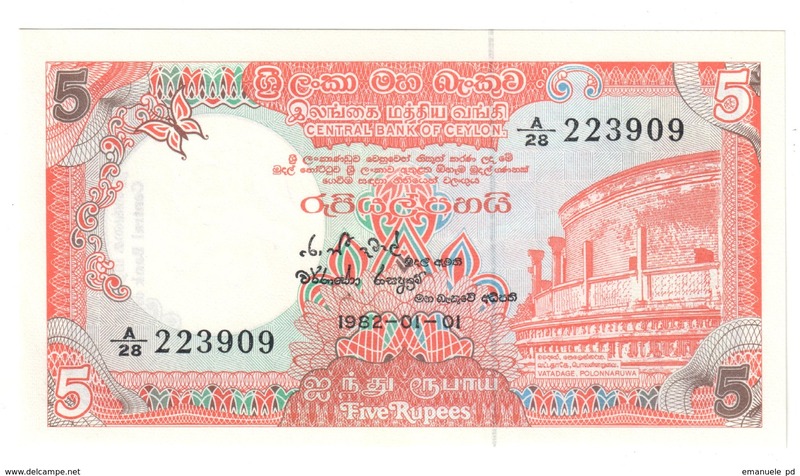 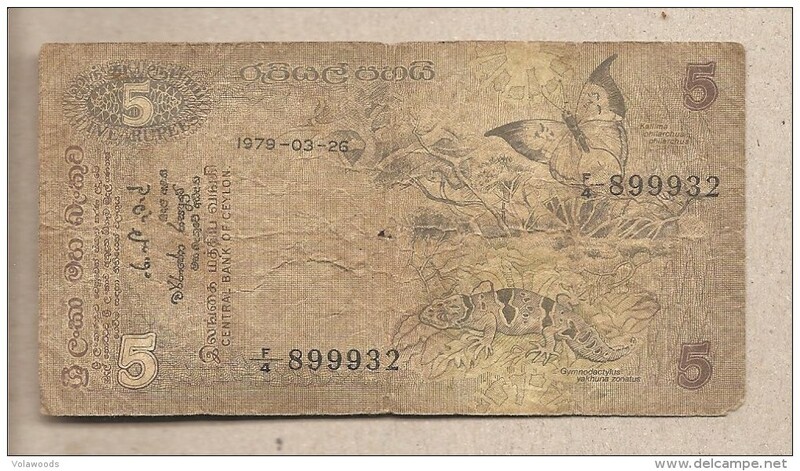 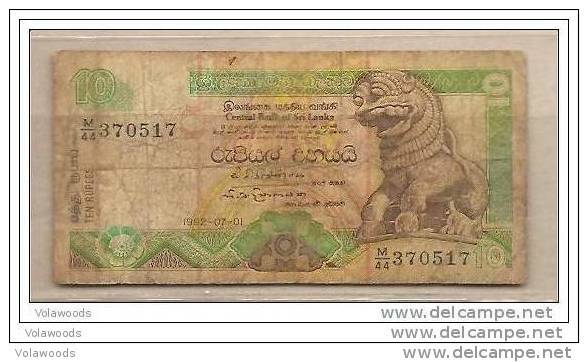 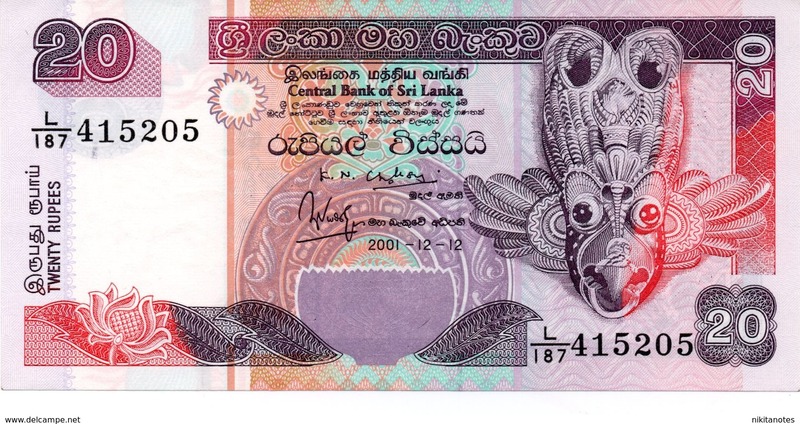 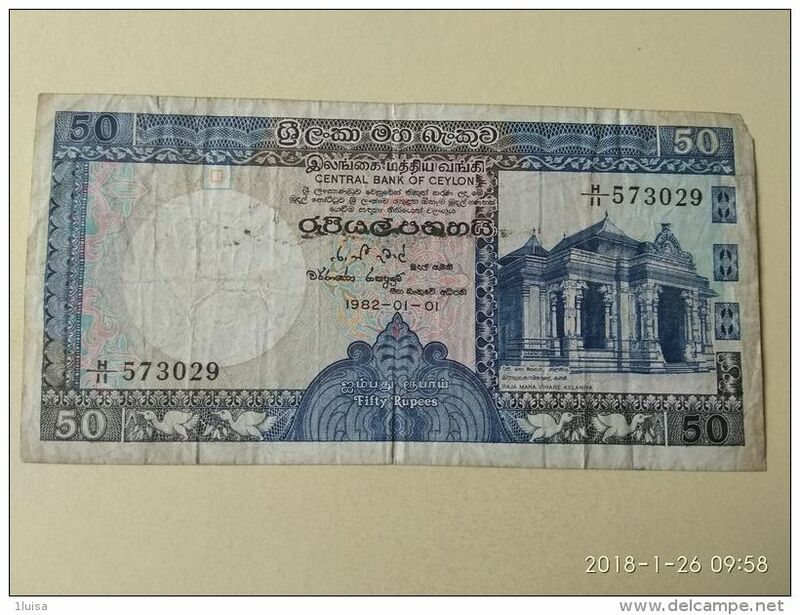 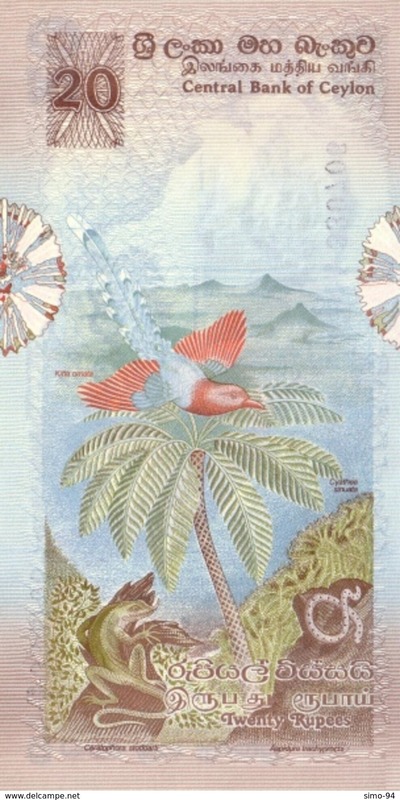 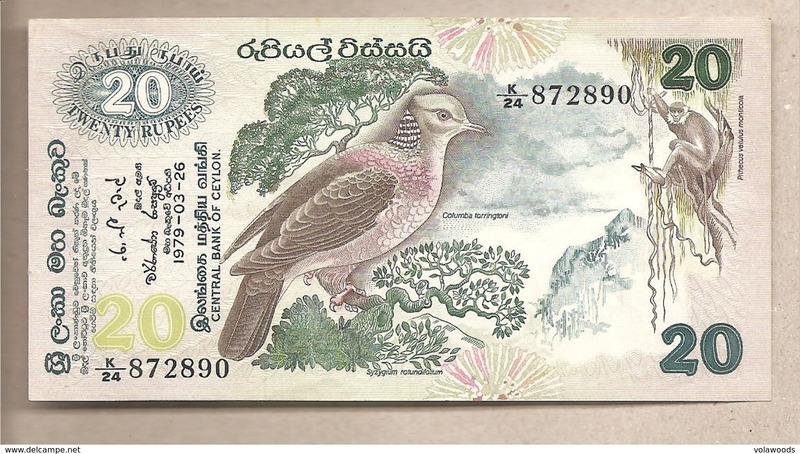 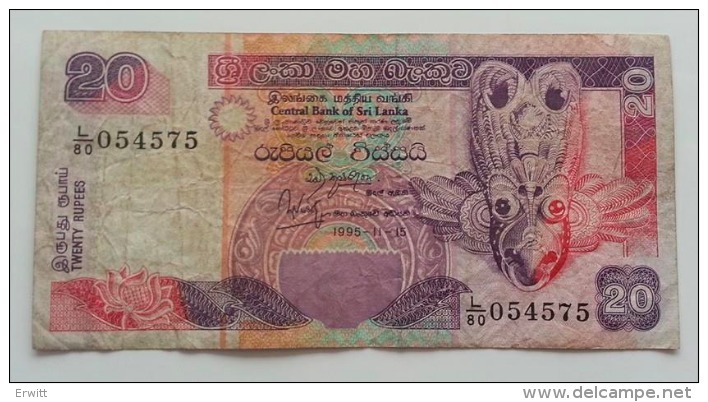 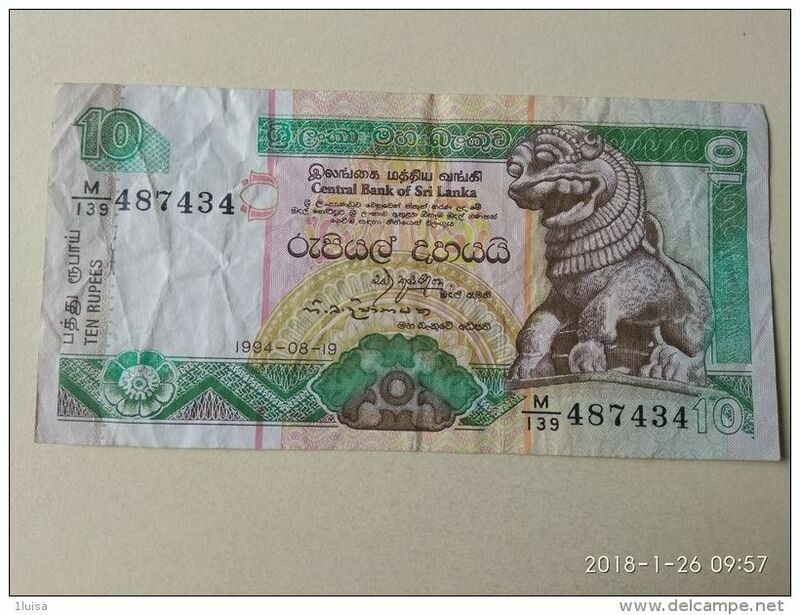 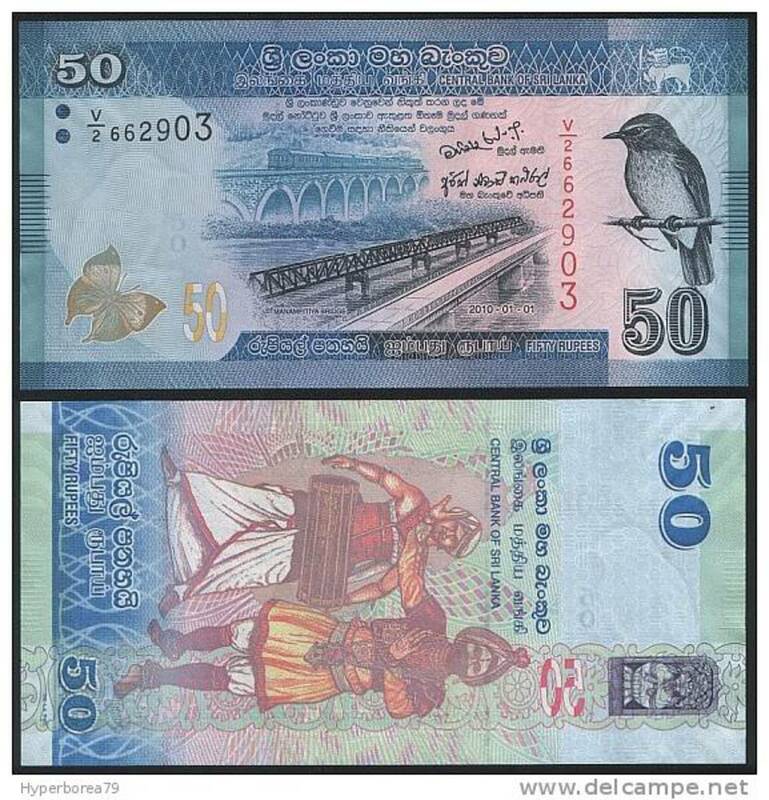 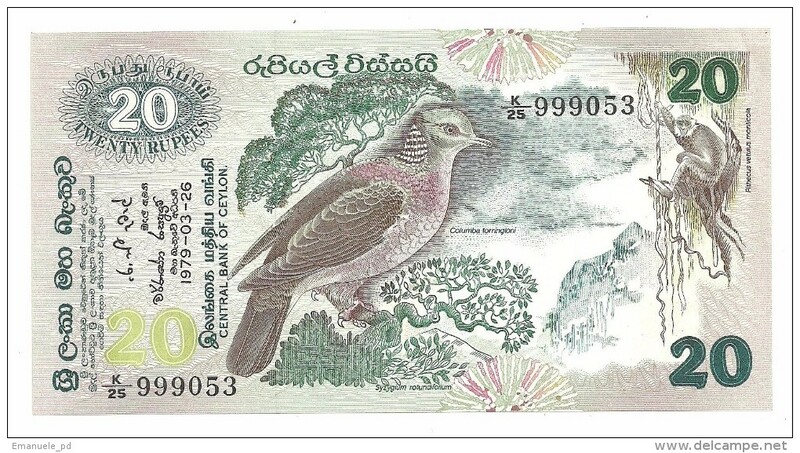 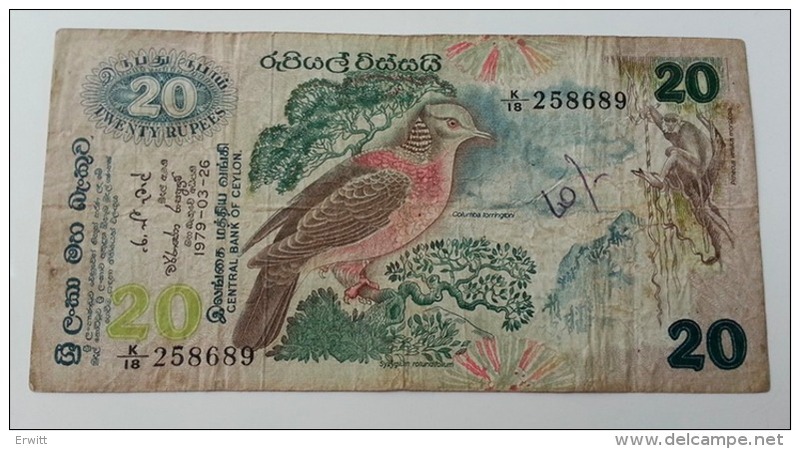 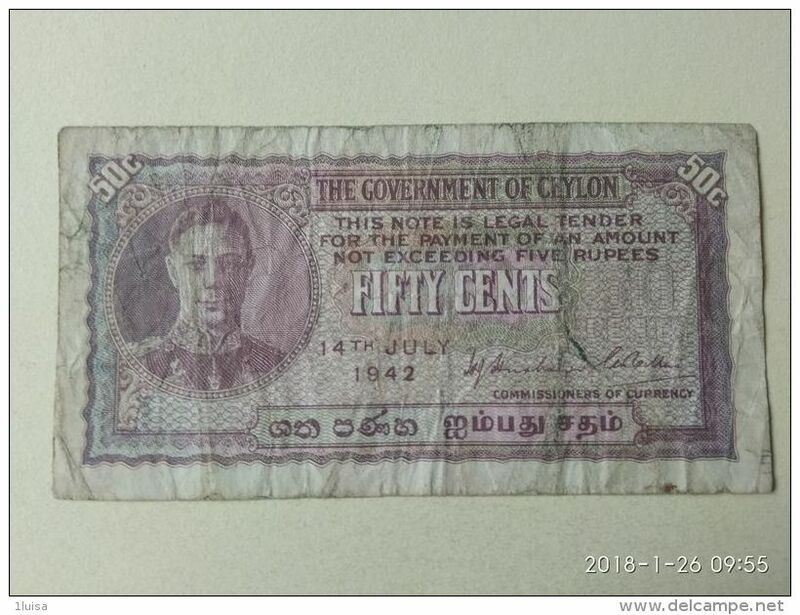 Ceylon 50 Rupees 26/03/1979 .J. 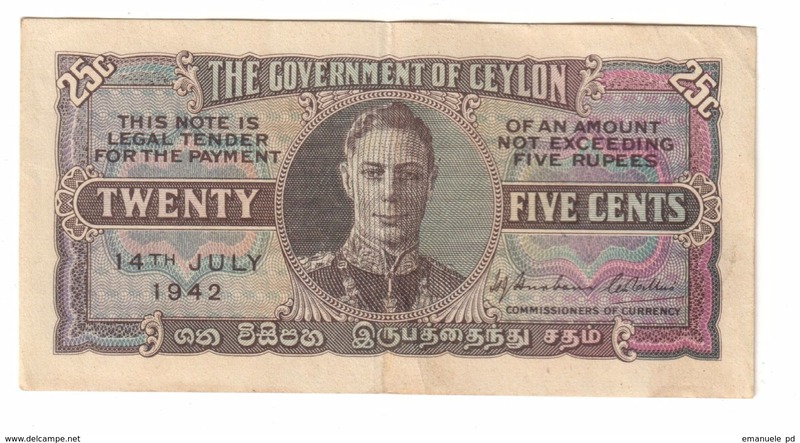 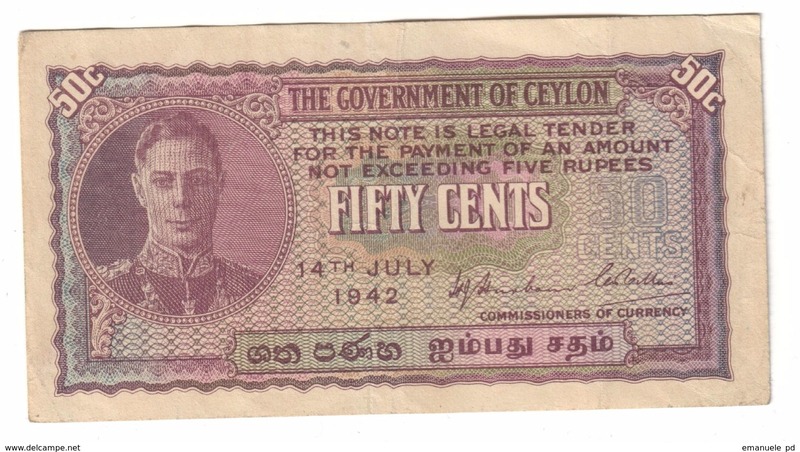 Ceylon 50 Cents 14/07/1942 .J. 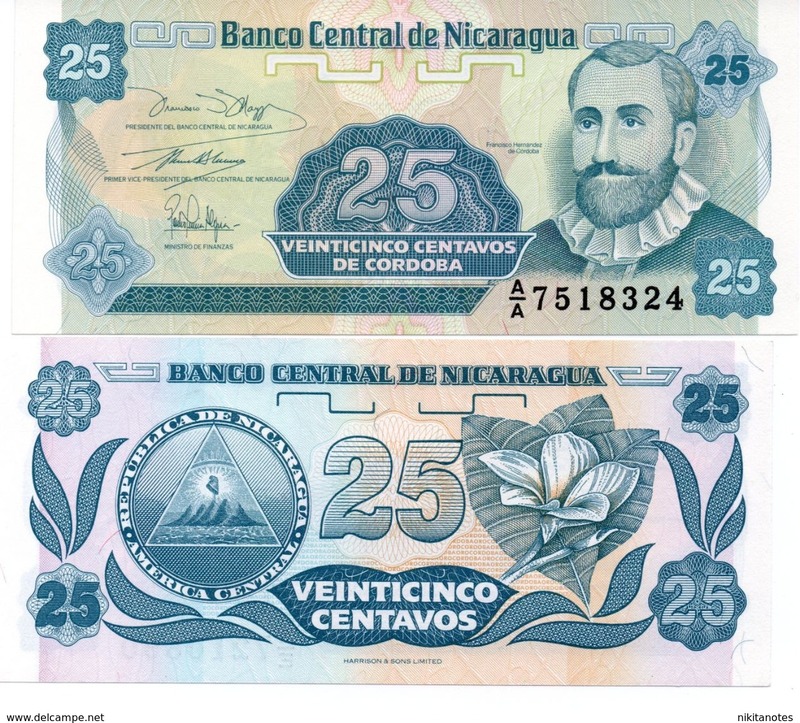 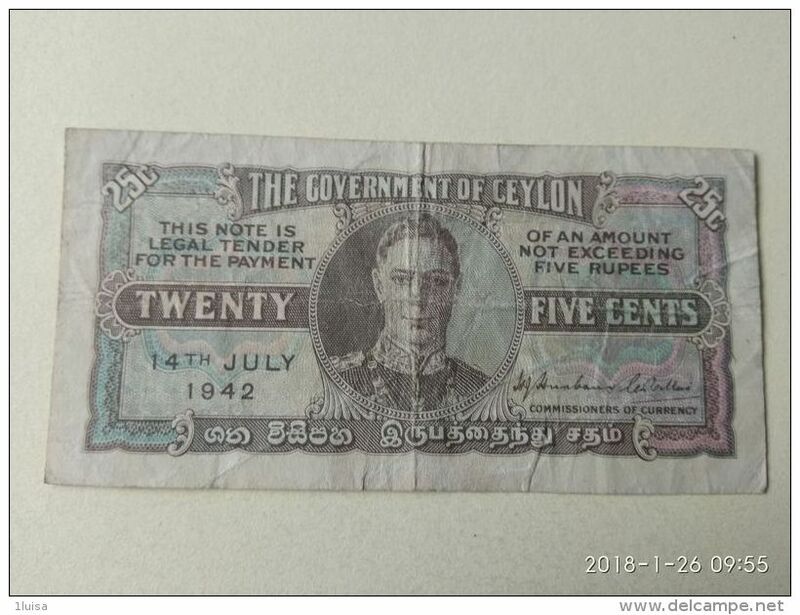 Ceylon 25 Cents 14/07/1942 .J. 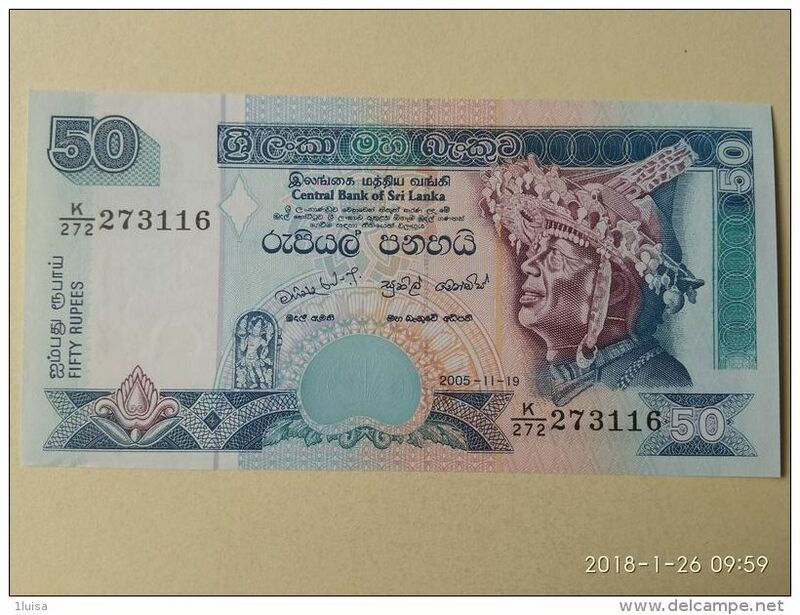 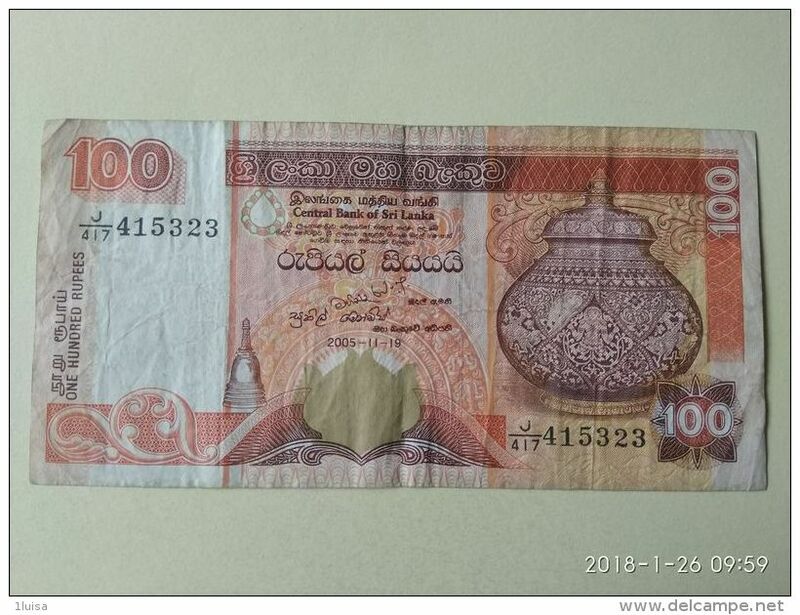 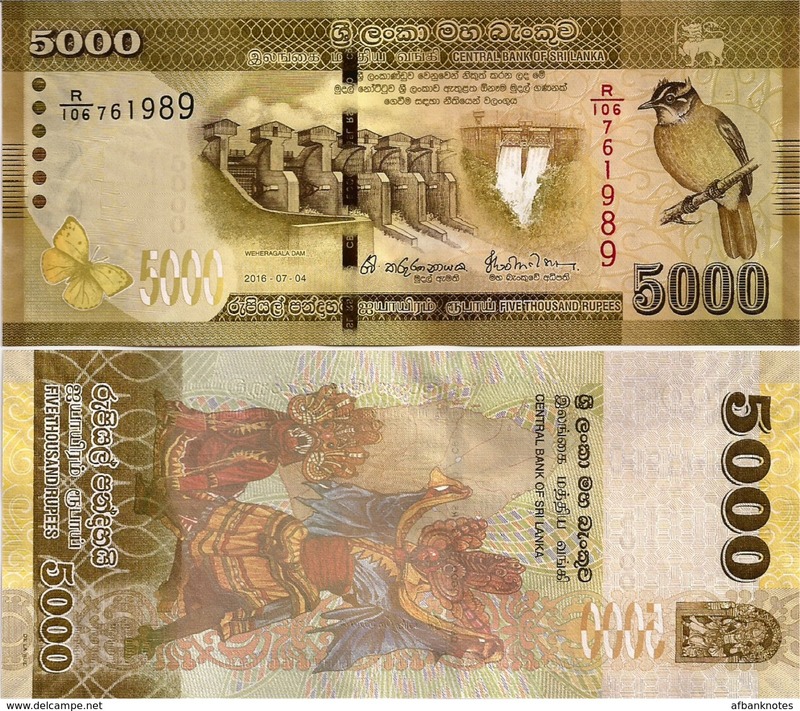 Sri Lanka 500 Rupees 2005 UNC Cut Error ? 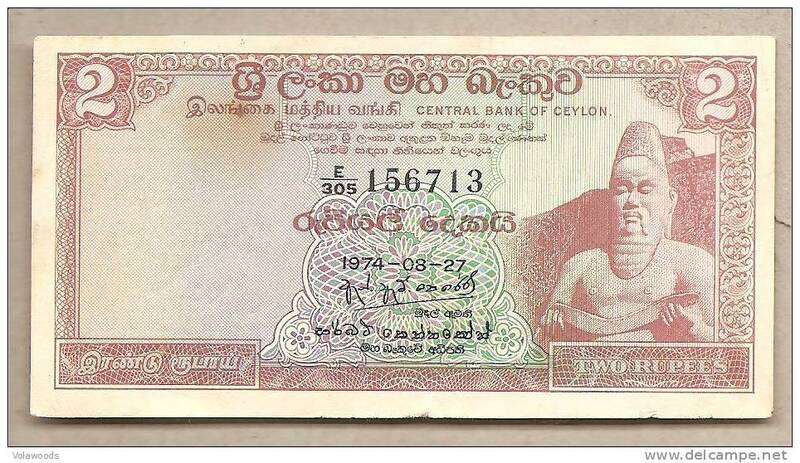 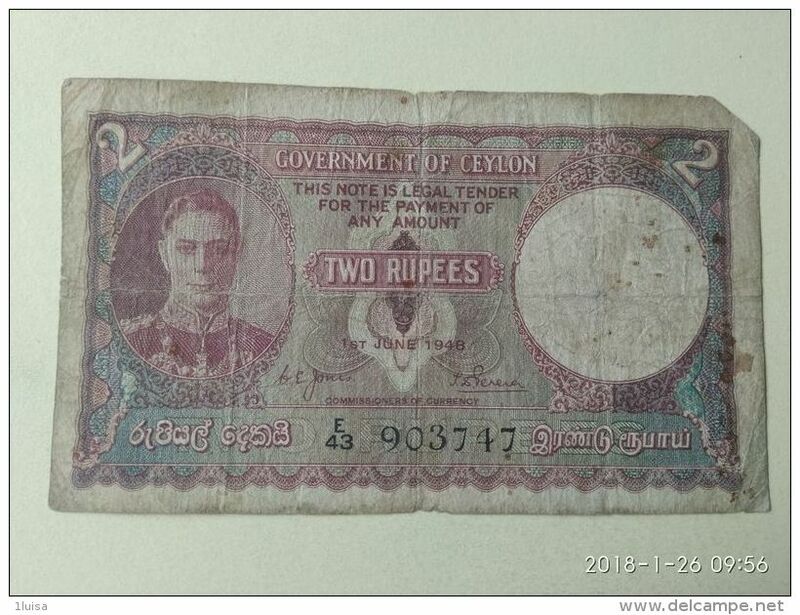 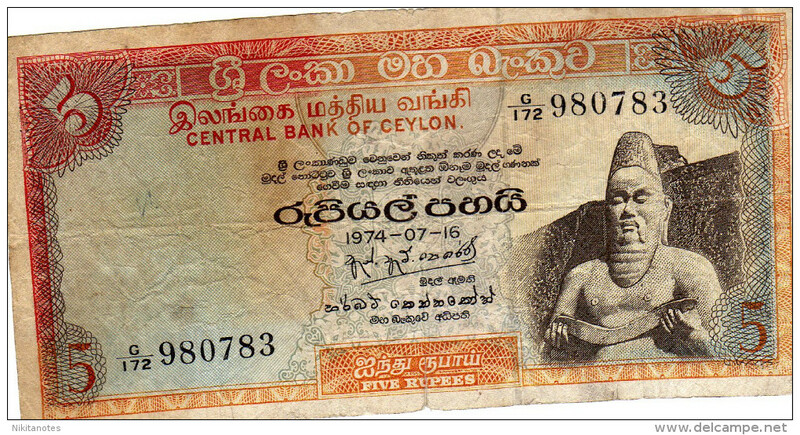 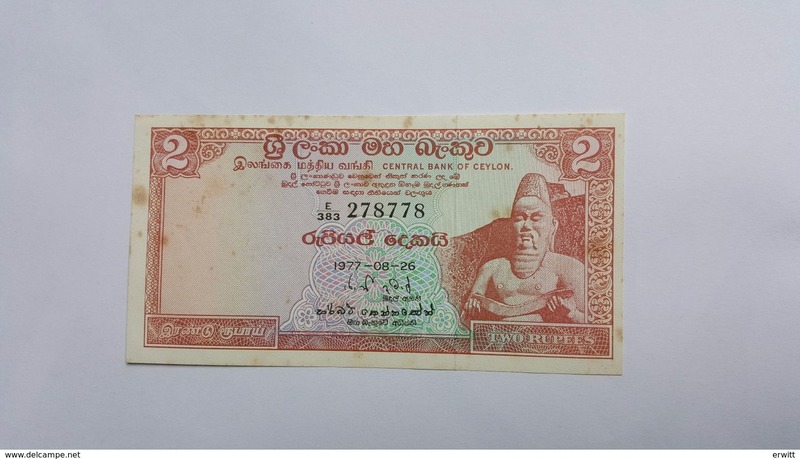 Ceylon 2 Rupees 21/08/1973 UNC .C. 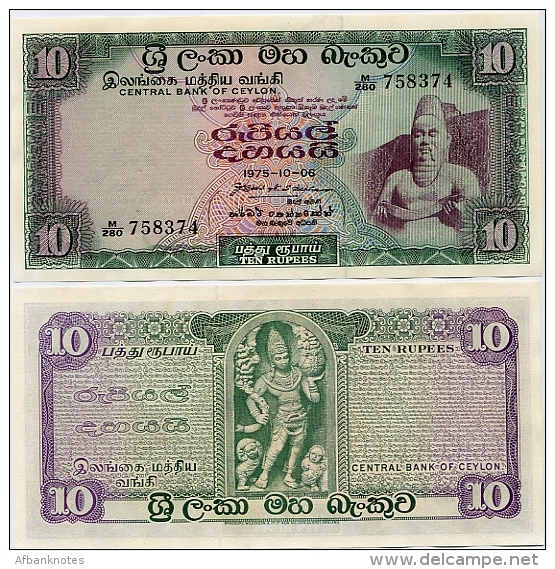 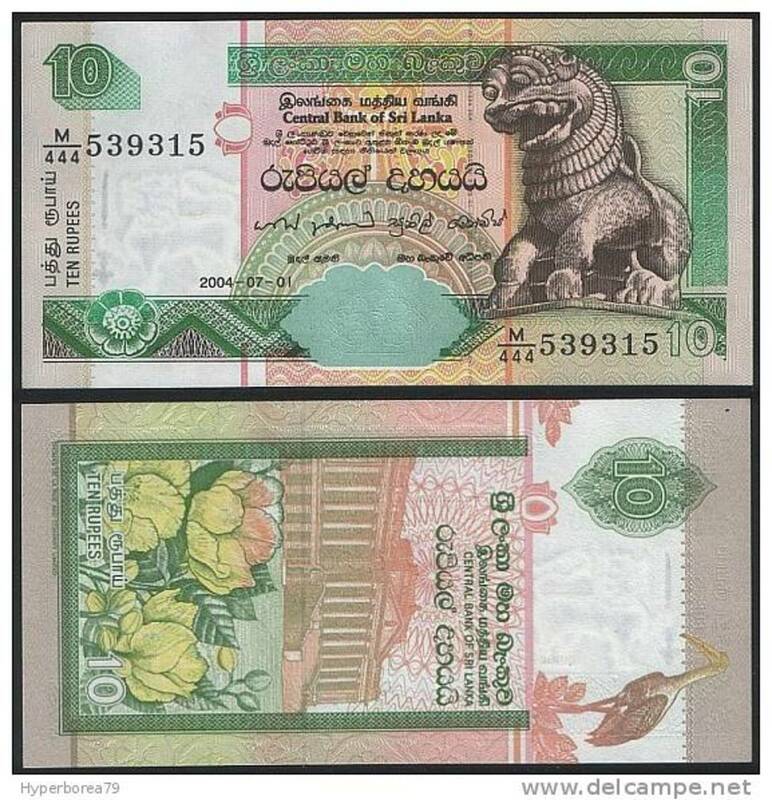 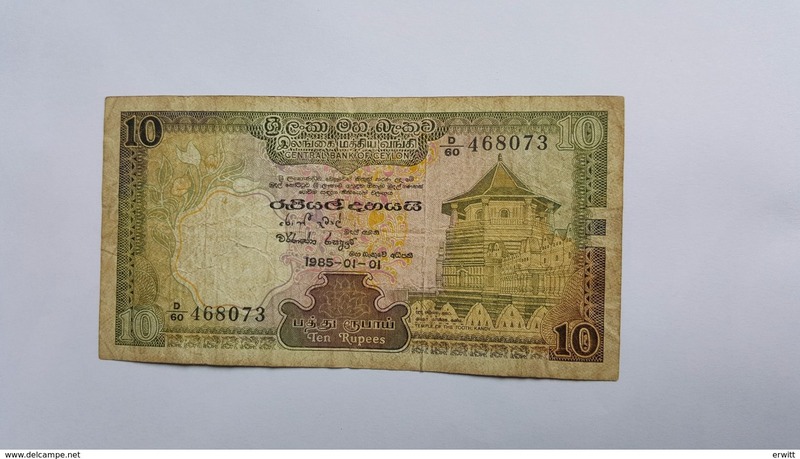 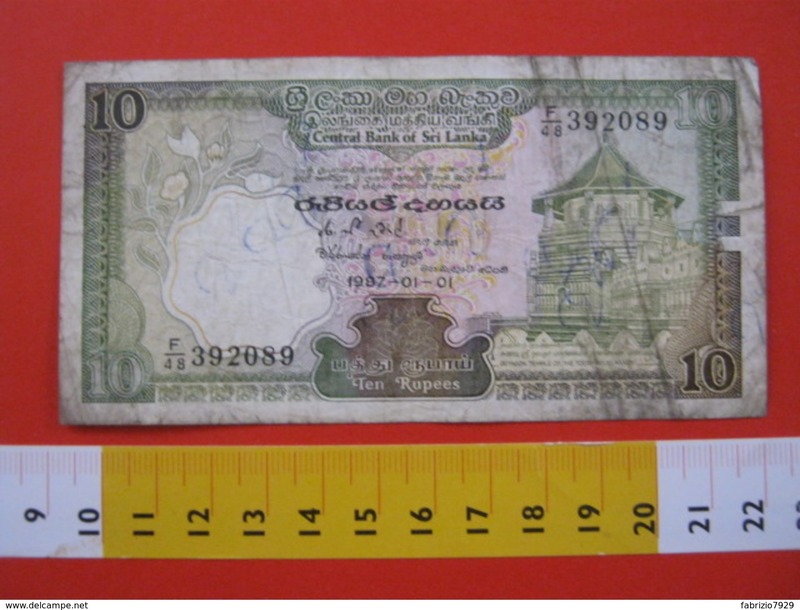 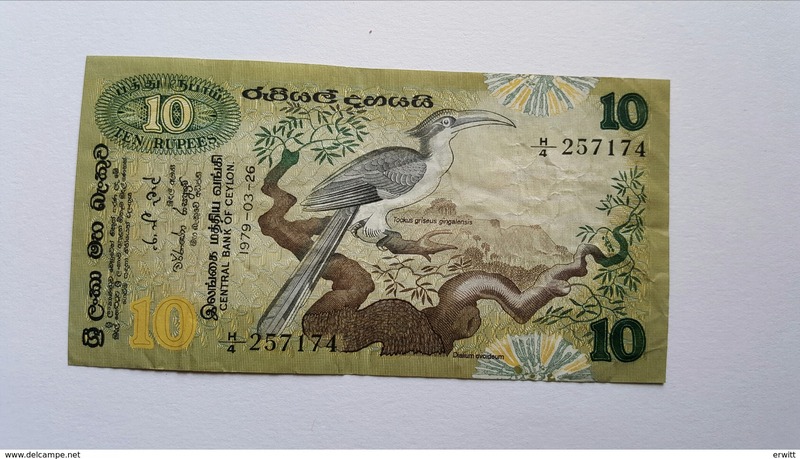 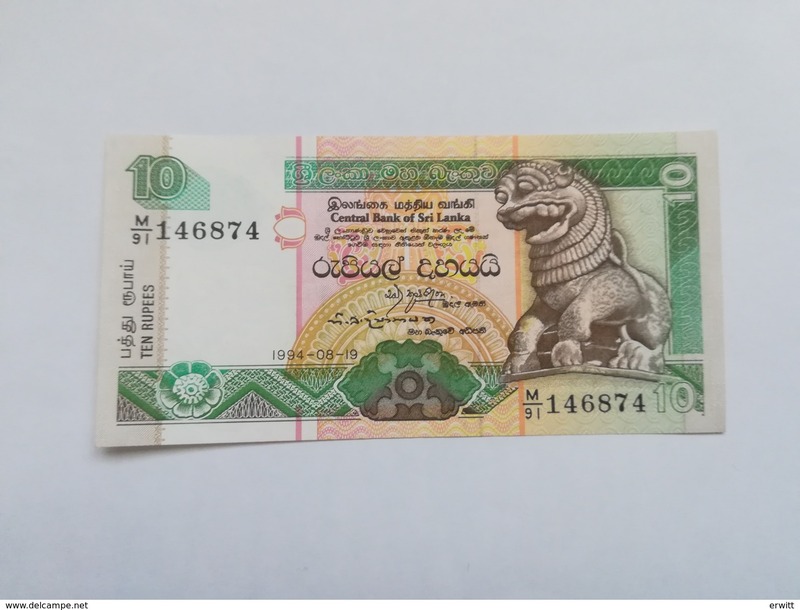 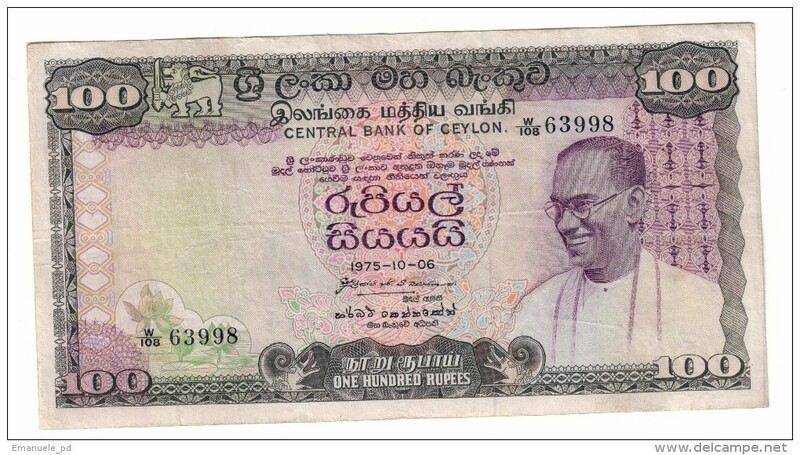 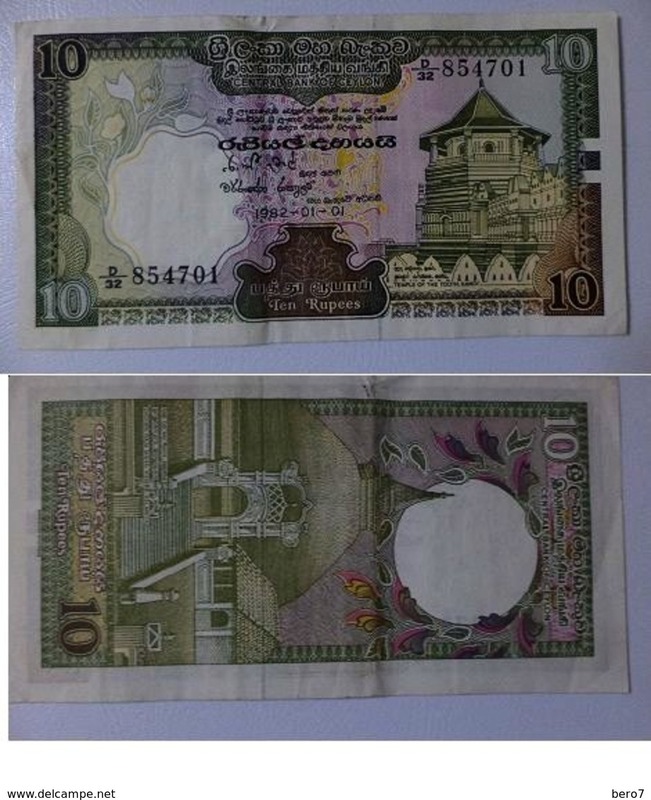 Ceylon 10 Rupees 1977 AUNC .S.